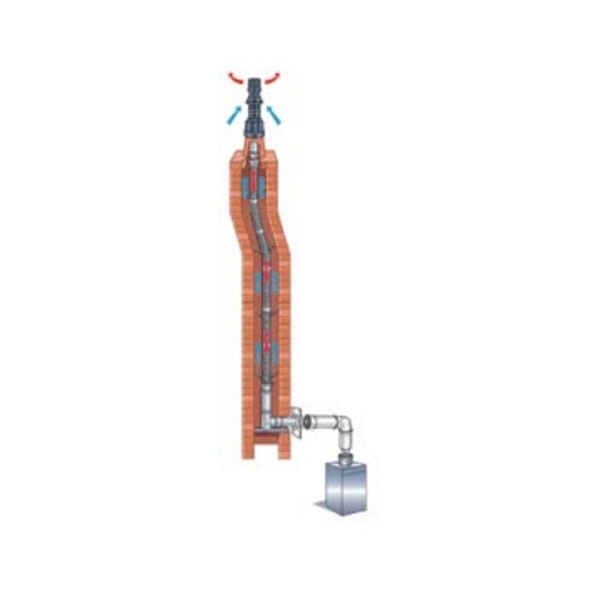 When connecting a condensing boiler to an existing chimney, a &#64258;ue liner must be used. Warm&#64258;ow &#64258;exible &#64258;ue liners are designed for ease of installation and, because they use the chimney for the supply of combustion air, providing a room-sealed installation - no separate combustion air supply is needed. Flexi Liner Kits are suitable for all indoor HE models up to 90HE. For outputs in excess of 90HE, please consult Warmflow's Customer Care Centre.